What made you want to draw these exact women. What do they mean to you and why? 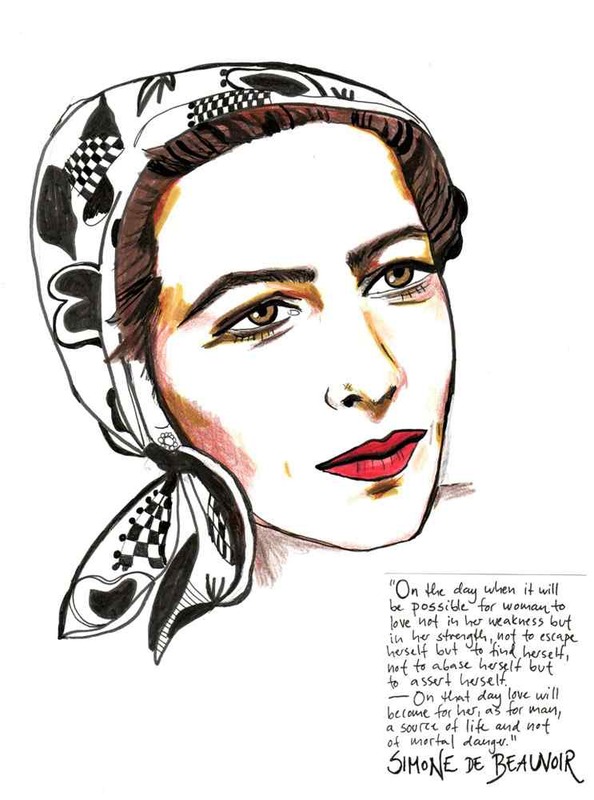 Simone De Beauvoir is a wonderful writer and feminist. With a great sense of style! Patti Smith, what can I say… I read “Just Kids” and felt that I should be brave enough to live my life more fearlessly. She walks her own path, which is always something to aspire to. 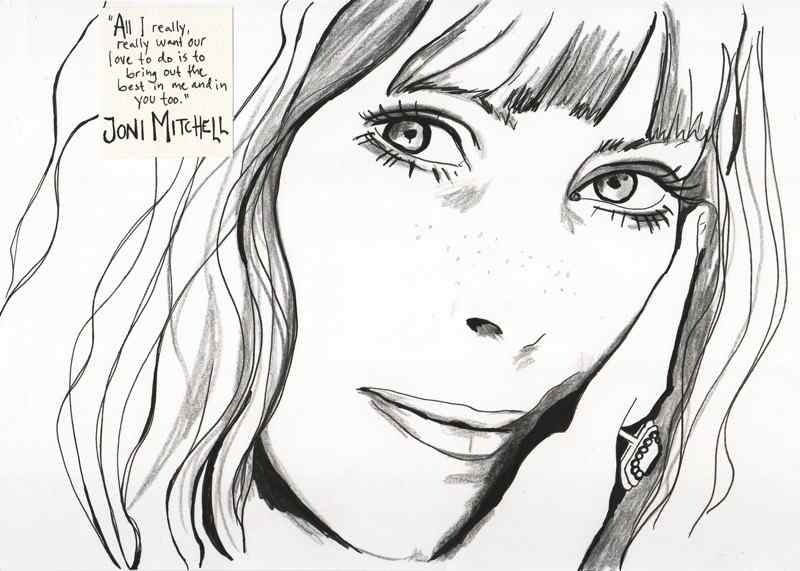 Joni Mitchell blows me away with her lyrics. 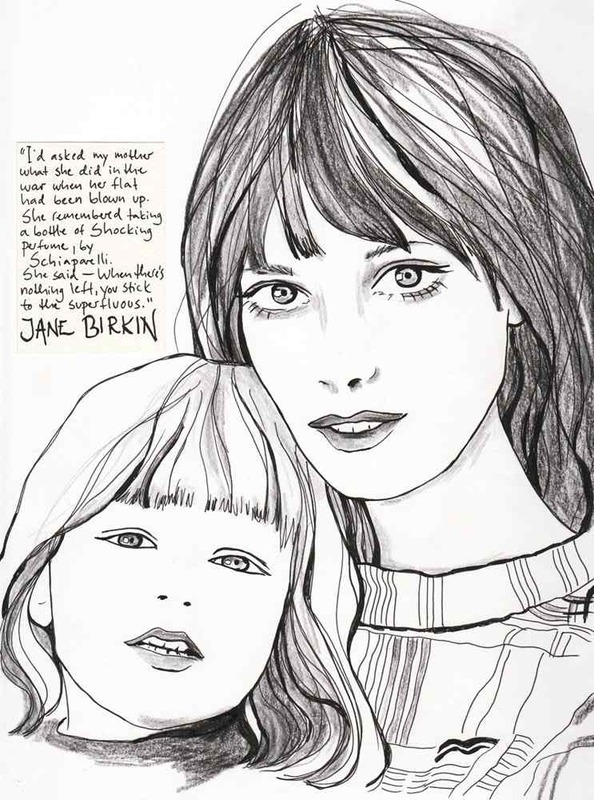 And Jane Birkin represents something childlike, luminous and innocent, that the entire nation of France has warmed to. An English rose who became their favorite Parisienne. 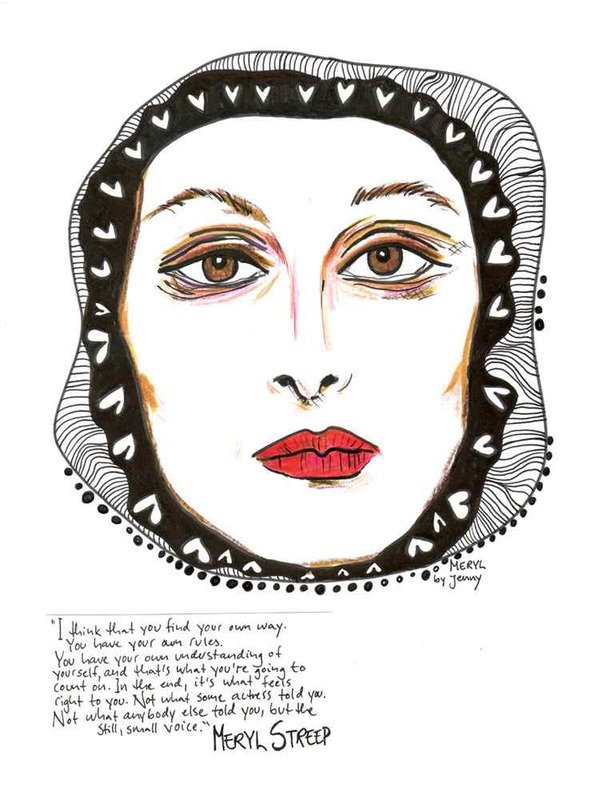 Meryl Streep is the queen bee. Don’t you think? Drawing is having my own personal space, tuning out. Forgetting time. Something I have always enjoyed. Tell me about how you started drawing as a child and how it was against the feminist ideals in your home, what fascinated you with these times? My mother wanted me to draw trucks, guys, anything but girls all the time. Perhaps she believed she could steer the creativity. Make me more masculine. But the fingernails on my drawn girls just got longer and redder… Still, I’m very proud of her feminist past. It was important. Even though it could be militant and non inclusive, it has given us important rights. And we still have a long way to go. Thoughts on being a woman and motherhood today? I feel blessed and fortunate to be a mother. So lucky that these two souls chose me. That is the greatest gift in my life. As a woman who has become a mother, I think you have to learn to be a tiger. I’m still learning how to be a tiger. What has age done to you? Age has made me more aware that we only have so much time. I’m more selfish about who I spend it with. I have known you for 20 years, but what would you want to tell me or other women about the person you are today? Who you are, have been and become? My grandmother told me she felt 25 all her life. Sometimes the reflection in the mirror would surprise her. The girl I was at seven is probably still part of the woman I am today. I can relate to the same joys and expectations, the same excitement makes me want to get up in the morning. Even though you learn, grow, experience pain and joy, I think the core of who you are is pretty constant. Advice for yourself as a young girl? I admire you for putting yourself out here, with your personal story, choosing to share and connect. I know how private you are. That took a lot of courage. I admire children who stand up to bullies. People who are more interested in others than themselves. I admire compassion to strangers. Teachers. Single parents. People who dare to open their hearts and give generously without expecting anything in return. What is loneliness/isolation to you? if any of these emotions occur how do you reconnect with yourself and others? I sometimes crave loneliness and isolation. For me it is crucial, in order to recharge, to think, to find myself again. Perhaps I enjoy it so much because it has become very rare. We live an ocean apart and our experiences are different in so many ways now. What do you miss the most with our friendship and how important is physical presence and similar experiences for a real deep friendship in your experience? We struck up a conversation many years ago in Oslo, and just continued to talk… The surroundings are blurry, unimportant. We have been in Italy, France, Norway, U.S., England, so many places together. Trough different boyfriends and life situations. But always in our own bubble, discussing anything and everything. It seems we always find that space, weather we are together physically or not. Now it’s been a year, the longest we have been apart. Mya, my daughter who is five, refers to Siena as her sister. She told me that siblings should live in the same house, not so far apart. I remember you came to see me in London and we talked through the night, in my bed. I miss our nightly conversations. Wherever they might be. And last, you are the only one I know who has been with the same man since a very young age, 26! What is your secret? No not last, what is the most important thing for women to achieve now. Have we really gotten as far as we wish we had? No. We have not. There are miles to go. But you took the first step. Jenny Vågan have a Master of Arts in Fashion Journalism from Central Saint Martins in London. Before that, she studied sociology, history and philosophy at the university of Oslo. She has lived and worked in Paris, before moving back to Norway, serving as fashion editor for Inside magazine and later deputy editor for Norwegian ELLE. 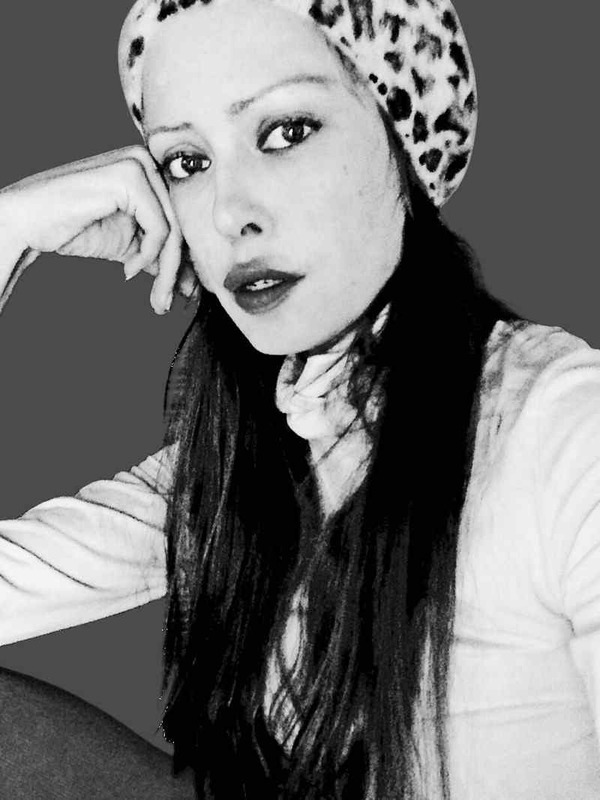 She has also enjoyed contributing, both as a journalist and editor to Acne Paper.